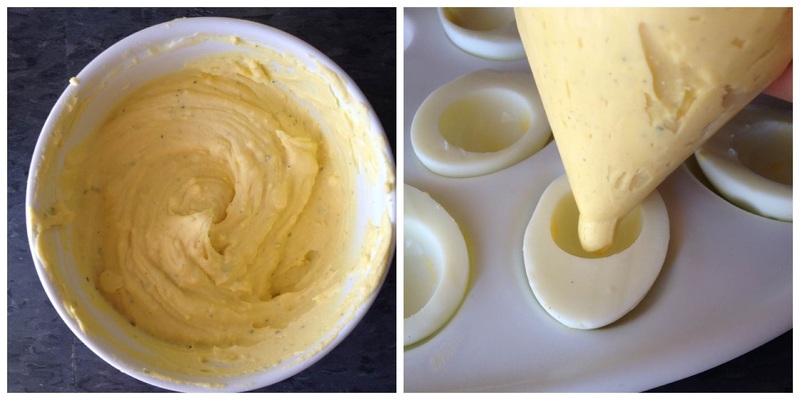 While parents are getting their kids ready to trick-or-treat, egg lovers are gearing up to make deviled eggs! November 2nd is Deviled Egg and we’re celebrating by making delicious deviled eggs. In most countries, deviled eggs are called “stuffed eggs” — but in the United States, we originally started calling them “deviled” as a reference to spices added to the yolks (pepper, mustard, paprika) in the classic recipe. Now “deviled eggs” means mixing the yolk with anything from minced crab to buffalo chicken — whatever you have a taste for, you can make a deviled egg out of it. 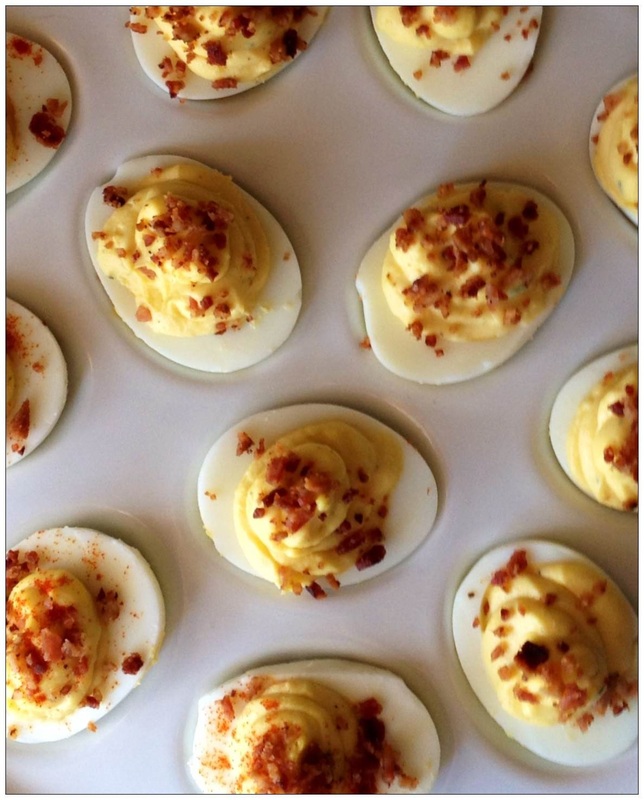 One of our favorite deviled egg recipes at The Lakeside Collection is Bacon Ranch Deviled Eggs and in honor of Deviled Egg Day, we’re sharing it with you! Cut the eggs in half, lengthwise. Scoop out the yolk of each egg white and place the yolks in a bowl. Refrigerate the whites on a platter. 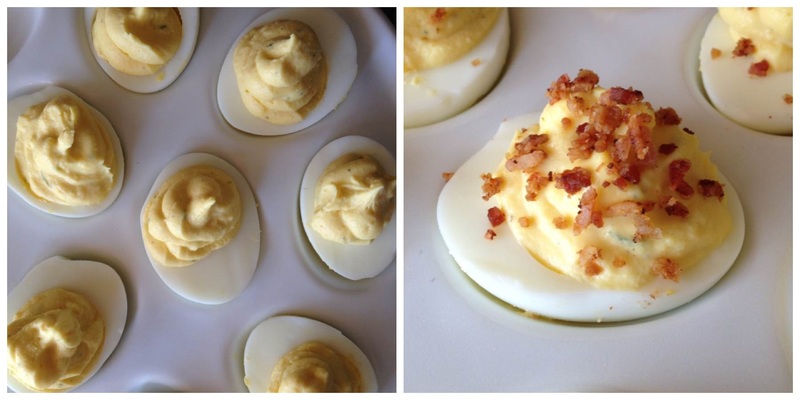 Combine the yolks with all of the ingredients except the bacon bits. Mash everything together with a fork. Stir and mash until everything is smooth. 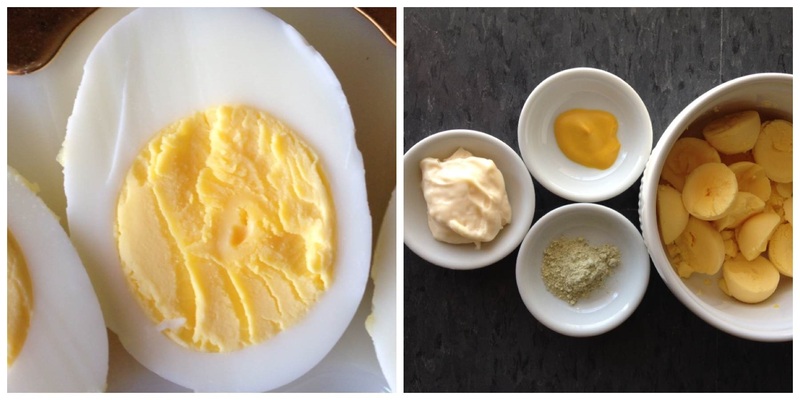 Refrigerate for 20 minutes to let the yolks absorb the dressing mix. Taste the yolk mixture to check the seasoning. If it needs more dressing mix, add a pinch at a time, stirring after each addition. To re-stuff the egg whites with the egg yolks without making a mess, use a plastic bag with the end snipped off like you would a pastry bag. Spoon the yolk mixture into the bag making sure there are no air pockets. Squeeze about a tablespoon of yolk back into each egg half. Sprinkle each egg with bacon bits. Serve chilled. The recipe can easily be doubled, tripled or cut in half and they’re easy to make ahead. Whether you need something to bring to a holiday party or you’re looking for a tailgating snack, this recipe is definitely a crowd-pleaser! I’m having friends tonight for a buffet and these are on the menu! I’ll let u know how it goes! !